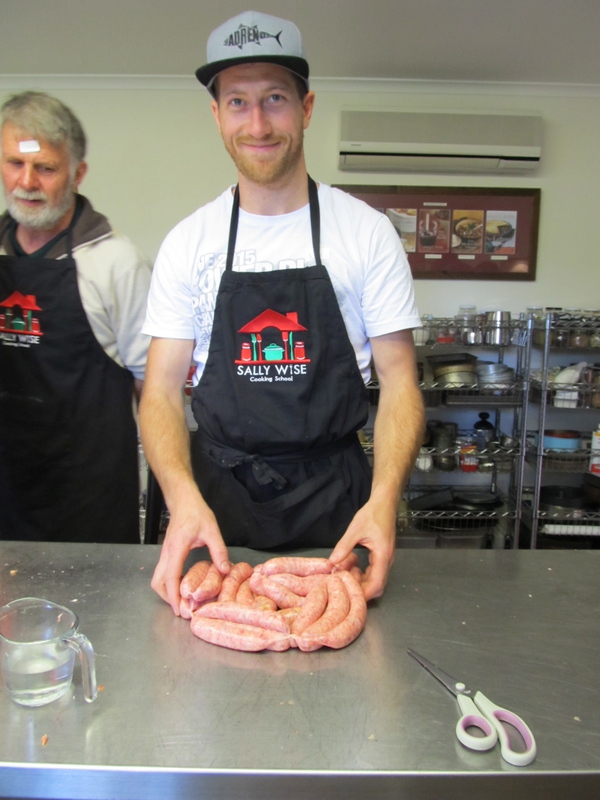 Great fun in the sausage making class with Stephanie and Nat here on Saturday. Here’s Joe hard at work, now skilled in the art of sausage tying. Lots of different varieties were made, all very delicious. 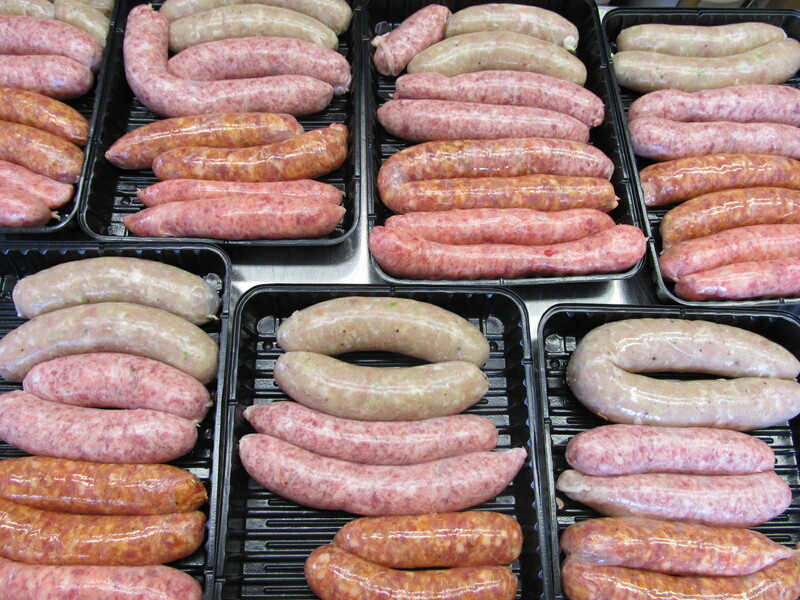 And these below were just for starters …..